Neurogenesis is a central issue in neuroscience. It is the process by which new brain cells grow to replace the ones that have died. Many scientists have devoted their careers to studying this area of science - when and how it occurs, and sometimes, whether it happens at all. The concept of neurogenesis may appear paradoxical, as it appears to fail in cases of spinal trauma and acquired brain injury. These exceptions have led to theories of neurogenesis that are confined to animals and humans at very early ages. However, other findings suggest that neurogenesis does persist in areas of the brain to facilitate memory and cognitive development. Therefore, neurogenesis may occur in the brains of adults. It is such theses that may have a profound effect on the scientific understanding of learning, memory formation and general functional status at different ages. Two recent papers have reached conflicting conclusions on neurogenesis in the same region of the human brain. The area in question is the dental gyrus of the hippocampus, which is associated with memory and learning, and also with the response to factors such as stress. One study has asserted that the precursor cells which form this region are rare, even in relatively young people, and are not present in adults at all. The other, however, concludes that the total number of these progenitors, as well as semi-developed brain cells, were constant across samples from people of various ages. Both studies were based on post-mortem samples of healthy individuals, although the former also included similar results from people with a certain type of epilepsy. The dentate gyrus contains the 'growth plate' of the hippocampus, and, thus, may be present to support the functions of this brain region. The presence of the gyrus may explain why healthy people of all ages can recall new information and process it in the course of learning. Furthermore, the confirmed existence of new or developing neurons in the same location could provide a definitive picture of the actual learning capacity of an adult. Some neuroscientists have spent their careers in an attempt to assess this. The dentate gyrus may also be implicated in disease, most notably some forms of epilepsy and mild cognitive impairments. Therefore, the ability to compare neuronal numbers in healthy hippocampi to those affected by such conditions may also be useful in the study of these illnesses. However, the results of studies on actual neurogenesis in the dentate gyrus have been variable, at best. Some research studies have reported that hundreds of new cells are added, every day, to this region in healthy adults. 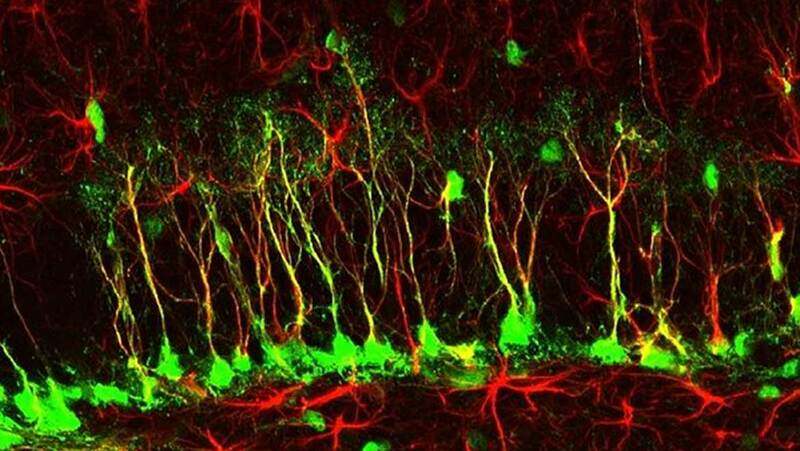 Others have not found new or developing neurons in this region at all. It is difficult to say why this is. But, it is certain that the methods used to assess the target neurogenesis have differed between studies. Some have involved post-mortem studies, whereas others have directly imaged the regions in living participants. In addition, the research may also have varied in terms of studying the parts of the hippocampus. Some investigations have focused on the subgranular zone of the hippocampus (thought to be the actual site of neurogenesis for this brain region). Other studies have evaluated the region as a whole. These findings are due to the 2014 report that different parts of the dentate gyrus have different functions. In short, the difference in opinions is proving to be a complex research problem. Debate: Can Adults Grow New Brain Cells? One of the most recent studies on dentate gyrus neurogenesis was published in Nature in a March 2018 issue. It assessed a combination of post-mortem samples and hippocampal tissue surgically removed to treat patients with epilepsy. The former was donated by 17 neurologically healthy adults and the latter from 12 patients aged between 18 and 77 years. The researchers behind this paper, who collaborated across the University of Valencia in Spain, Fudan University in Shanghai and the University of California (San Francisco and LA), reported that no immature neurons were found in the dentate gyri from any of these samples. The team also reported that an animal study conducted on Macaca mulatta monkeys found that the subgranular zone of these animals exhibited neuronal growth that was diminished in juvenile animals compared to those in early infancy. The same researchers also demonstrated the absence of a concrete 'growth plate' of precursor cells in the human fetal or postnatal brain. Therefore, they asserted that these cells, in addition to new dentate gyrus neurons, are in short supply by the time a baby has reached one year of age. Furthermore, they concluded that both cell types were negligible by the time a person reaches 13 years of age. But, this study has been contradicted by a subsequent one published in Cell in April 2018. The research, conducted at Columbia University, the NYS Psychiatric Institute in New York and the Macedonian Academy of Sciences & Arts, studied whole-hippocampal samples from 28 healthy human donors between the ages of 14 to 79 years. The scientists observed the presence of precursor cells and immature cells across these samples and claimed the presence of "thousands" of immature cell populations. This paper also included observations that the total dentate gyrus volume was consistent across the age range associated with the samples. Therefore, the adults in this study may have been capable of producing mature neurons in this region throughout their lives. The experts concluded that this ability supported a healthy cognitive state into older age. Deficiencies in dentate gyrus neurogenesis (which may explain the results of other studies) could be related to increased risks of proportional neurological deficits in senior individuals. Therefore, these findings may contribute to a reformed theory of hippocampal function with age and its relation to health or disease. Although, it will require that the findings from this study, published in Cell, are first replicated. These two studies (as well as many similar ones in recent times) do not take into account other factors of neuronal function such as plasticity. Plasticity is the ability of neurons to make new or more extensive connections with others over time, and it is also supposedly related to memory and learning capabilities. Actual hippocampal volume, or the ability to regenerate it, may impact the actual ability to learn and remember things to a certain degree. Therefore, if the presence or absence of neurogenesis is conclusively proven, it may only matter so much to the relevant brain functions, as a whole. D. Head, et al. (2005) Frontal-hippocampal double dissociation between normal aging and Alzheimer's disease. Cereb Cortex. 15:(6). pp.732-739. N. V. Malykhin, et al. (2008) Aging hippocampus and amygdala. Neuroreport. 19:(5). pp.543-547. M. V. Wu, et al. (2014) Functional dissociation of adult-born neurons along the dorsoventral axis of the dentate gyrus. Hippocampus. 24:(7). pp.751-761. S. F. Sorrells, et al. (2018) Human hippocampal neurogenesis drops sharply in children to undetectable levels in adults. Nature. 555: pp.377. M. Boldrini, et al. Human Hippocampal Neurogenesis Persists throughout Aging. Cell Stem Cell. 22:(4). pp.589-599.e585.